Are you drawn to the BMW brand? An automotive heavyweight in the luxury segment, the BMW brand promises unrivaled luxury, track-ready performance and an athletic style. Within the scope of the BMW family, the BMW 3 Series is popular as an entry-level luxury sedan that will check all the boxes. Join the BMW family at an affordable price and get behind the wheel of a used BMW 328i in Carrollton, TX at Certified Autoplex today! Available in sleek Sedan, family-friendly Wagon and athletic Gran Turismo platforms, the BMW 3 Series will cater to your everyday drive when you get behind the wheel. With room for five passengers in unrivaled luxury, the BMW 328i and the rest of the BMW 3 Series stable of vehicles provides an affordable luxury sedan that is perfect for your next family adventure. Pre-owned BMW 328i models at Certified Autoplex feature affordable prices, low mileage and available lifetime warranties that will protect your automotive investment. Are you looking for an affordable, athletic and fun-to-drive luxury sedan? 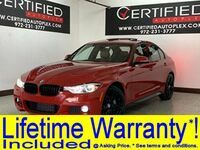 Look no further than a used BMW 328i in Carrollton, TX at Certified Autoplex. A perfect combination of economy, luxury and performance, the BMW 328i will fit the bill for luxury automotive aficionados in the Dallas-Fort Worth area. Drivers who opt for a pre-owned BMW 328i at Certified Autoplex will enjoy the mechanical machinations of a power-packed 2.0-liter turbocharged engine that delivers explosive thrills and efficient fuel-economy ratings. Amp up performance with the addition of available BMW xDrive All-Wheel Drive that will upgrade handling, acceleration and speed. Additional BMW 3 Series models feature more powerful engine options that include a turbocharged 3.0-liter V-6, a hybrid powertrain and a capable turbodiesel. When you choose the BMW brand, you will enjoy a wealth of innovative technology and features. Premium leather interior is a standard fixture in the BMW 328i cabin that is complemented by a leather-wrapped steering wheel, dual-zone automatic climate control and more. Pre-owned BMW 328i models employ a standard iDrive 6.5-inch touchscreen display that provides access to Bluetooth, a nine-speaker sound system and your favorite apps. 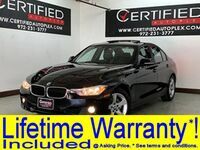 Visit Certified Autoplex today to get behind the wheel of a used BMW 328i luxury sedan! Interested in a BMW 328i?